Yes I said Mr. Kohlrabi. 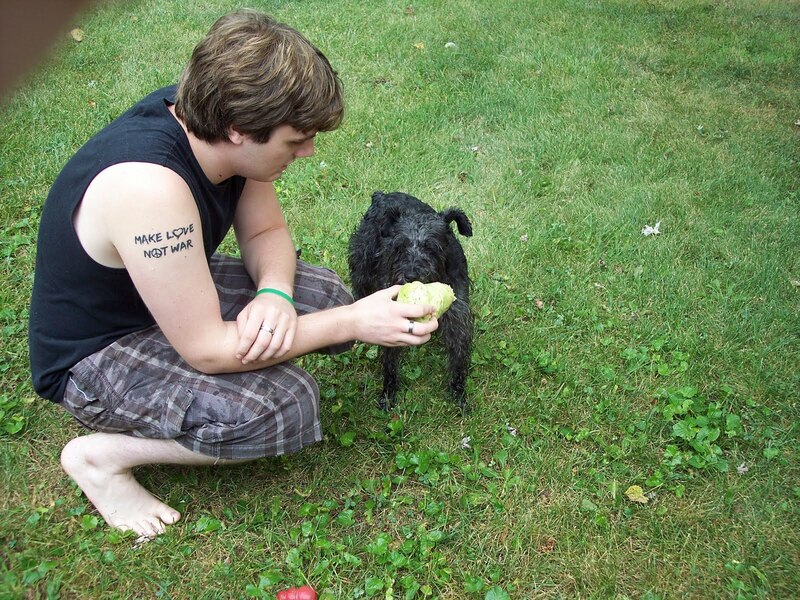 He’s a weird cabbage type vegetable that my boy John thought I would like to play with. 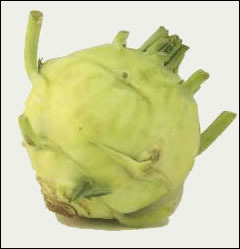 Here’s what Mr. Kohlrabi looks like. 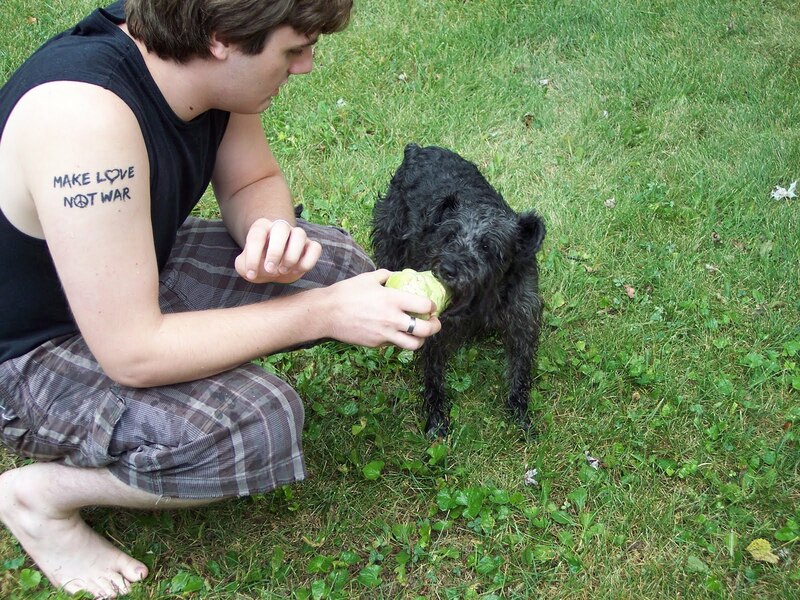 It was raining, but I braved the rain to play catch with Mr. Kohlrabi. This video is short if you’re people are in a hurry & the one below this is longer. My mom person says to say that if you like Invader Zim, look at Leighanne’s shoes ar around the 30 second mark in the second video. She says it’s Grr. Hopefully she’ll start making sense again soon since I don’t know what the heck she’s rambling on about. Here are some pictures of me, John & Mr. Kohlrabi. I’m going to play while I can and not worry about the the rain. Hear that mom? You should do the same! Hey I’ve been getting really weird comments about Chloe! Is there something I should know? Check out what the other Camera Critters are doing & stop by the Saturday Pet Blogger Hop, too!